Delightful watercolour sketches of over 70 interesting and historic Cornish properties, with accompanying details and landscapes. 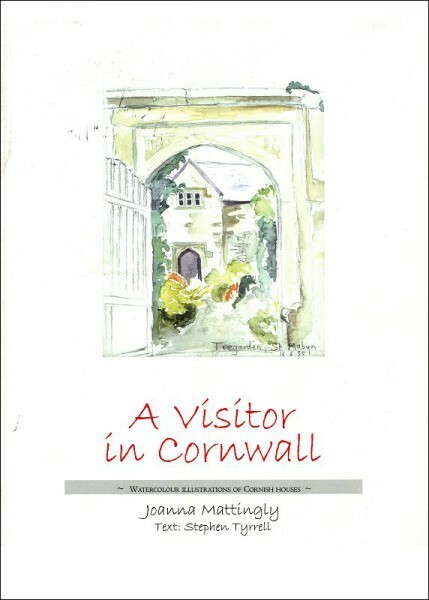 Joanna Mattingly’s watercolours are mainly of little known, rarely visited buildings in Cornwall. As well as around 94 drawings in colour, there are notes on 70 buildings. Several pages of anecdotes, even a recipe or two are included. The whole provides a delightful introduction to many historic buildings and is an entertaining and satisfactory read.